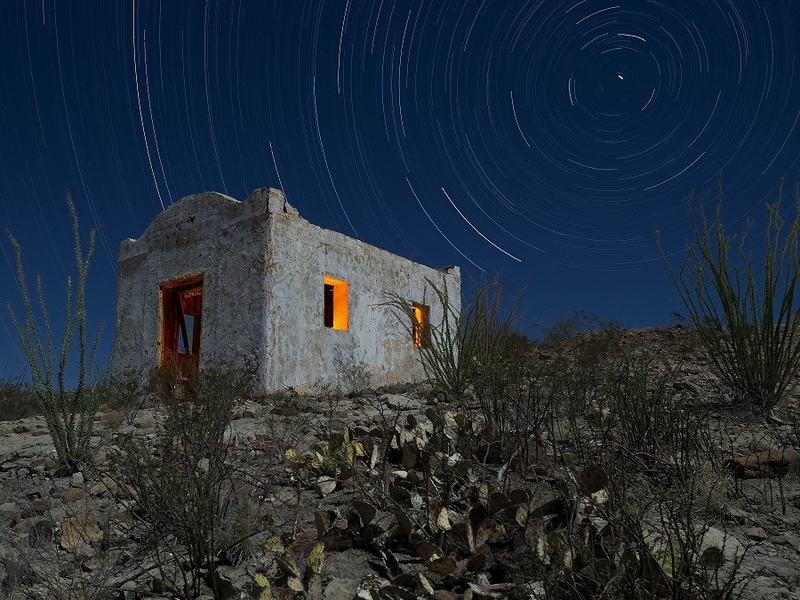 Good news for star gazers: Big Bend Ranch State Park is the latest Texas State Park designated as a Dark Sky Park by the International Dark-Sky Association—or IDA. It joins neighboring Big Bend National Park to form one of the largest contiguous areas under dark-skies protection in the United States. This designation is an important step forward in the conservation of some of the darkest night skies remaining in the lower 48 states. Now let this sink in: With the inclusion of Big Bend Ranch State Park , we have secured the protection of natural nighttime darkness in Texas over an area larger than the U.S. state of Rhode Island. Mind blown, right? Big Bend Ranch SP, located in the remote and rugged Trans-Pecos region, is known for giving visitors an untamed, wilderness experience. Preserving the dark sky is key to that experience and something all visitors treasure. BBRSP joins Copper Breaks State Park, South Llano River State Park and Enchanted Rock State Park in holding the prestigious IDA designation. 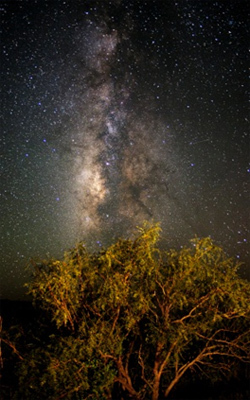 Find more information about the Dark Skies program on the Texas Parks and Wildlife website. The night sky once offered stunning displays of twinkling stars and planets. These marvels still exist, but light pollution masks their brilliance. Often what we see that in is the form of what we call skyglow. Folks in urban areas know it best as a haze of light that hangs over their cities. John Barentine is with the International Dark Sky Association. Our mission as the IDSA is to preserve and protect that nighttime environment and heritage that we have of dark skies through environmentally responsible outdoor lighting. Awareness and simple fixes can help take back the night. Some of the things that we try to do, is to get people to look at the quality of the lighting that they’re using…to think about [whether] the amount of light that’s being put on the ground sensible for the task at hand…and are all the lights fully shielded so we’re not always blasting light [up into the night sky] from the ground. 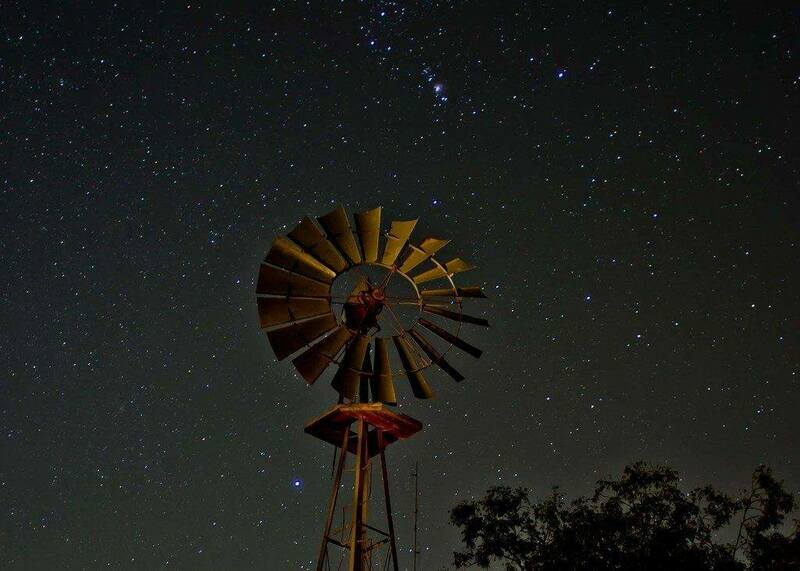 Experience dark skies at some Texas State Parks. Enchanted Rock State Natural Area in the Hill Country, and Copper Breaks State Park in North Texas. We have a very active chapter of our organization in Texas. I would say that the reason that this has all come about, is that Texas being largely rural, and having this tradition where — the stars at night are big and bright – that a lot of people consider the dark night sky to be part of the cultural history of the state, and find it worth preserving. A clear and dark night sky bursting with stars. Few of us experience dark skies anymore because of light pollution. Most often we see that [light pollution] in the form of what we call skyglow…[something] that people who live in or near cities will be familiar with. Skyglow is hazy reflected light hovering over cities at night, disrupting nature’s day/night cycle. John Barentine, with the International Dark Sky Association says light pollution isn’t exactly benign. It turns out that there are hormonal pathways throughout the body that are governed by that [day/night] cycle, and when we start disrupting them by putting light in at unusual times of the day, we disrupt those pathways and that’s what we think leads to some of the [potential health] problems. Blue light (in the spectrum), associated most with sunlight, is most disruptive to our internal clocks. Blue light triggers this hormone that’s called melatonin; in the daytime when the sun comes up that relatively blue sunlight turns down the production of melatonin and tells us to wake up. And then at night, the result is that the production of melatonin goes up, and that’s the cue that tells us to go to sleep. It’s also regulating all these sub systems throughout the body. We have a link to The American Medical Association’s report on light pollution at passporttotexas.org. What’s being done to prevent light pollution. That’s tomorrow. Few of us have ever experienced a truly dark sky. A dark sky is what humanity saw for basically its entire history up until the invention of electric light a little more than a century ago. While we may feel safer outdoors at night because artificial light illuminates our way, over time, it may actually do more harm than good, says John Barentine, with the International Dark Sky Assn. We know that artificial light at night has a measurable impact on wildlife; we know that it has an impact on human health. Light governs the night and day cycles of all organisms, so when we put light into the environment when our bodies aren’t expecting it, there are inevitable results—some of which we are just beginning to learn – but turns out that it may be related (at least in humans) to incidents of some types of chronic disease. Until the advent and widespread use of electric lighting, the sun, and to a lesser extent the moon, governed the cycle of day and night. That set a rhythm among living things we’ve been disrupting ever since. And we’ll have more about that tomorrow. You are currently browsing the archives for the Dark Skies category.